Facebook’s highly anticipated F8 developer conference happened on Monday, with founder and CEO Mark Zuckerberg taking the stage to announce the latest updates to come from the social network’s universe. Not only was Zuckerberg sharing new features from the Facebook platform, but he also gave us glimpses into what we can expect from companies that exist under the Facebook umbrella, like Instagram. Facebook announced that it is bringing group video chats to both Instagram. Instagram Direct messaging is popular but lacked video chat. So now Instagram is launch video chat. This feature is currently in a testing phase and will roll out globally in the coming months. 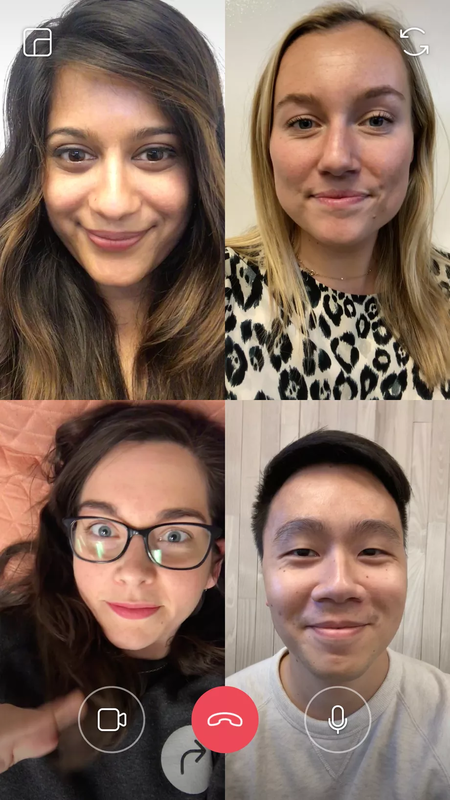 Instagram’s official announcement noted that 100 million users use the Live feature every day, and as such, it saw a reason to launch a video calling feature. Instagram is taking a cue from WhatsApp, another Facebook subsidiary which introduced video calls over a year ago. But it hasn’t yet managed to introduce group calls since it promised the feature to users last year. Users will be able to call one-on-one or join small groups. You can launch a video call just by tapping the new camera icon on the top of a thread. Video calls can be minimized, too, users can keep browsing Instagram or chatting with others while in the video call. This will work with both individual contacts as well as with ‘small’ groups. Facebook didn’t specify exactly how many users will be supported per call, but from the previews we’ve seen, it looks like you’ll be limited to four people at a time. This feature is currently being tested and will roll out globally in the next few weeks. Taking a strong stance on bullying, Instagram is adding a filter for offensive comments. If the comments have threatening remarks, Instagram will remove them. The feature is currently being rolled out and will be set to ‘On’ by default. However, users can head over to ‘Settings’ and then go to ‘Comments’ and switch ‘Automatic Filter’ ‘Off’. For now, the new anti-bullying filter is only launching for English, Spanish, Portuguese, Arabic, German, Russian, French, Japanese, and Mandarin comments, and Instagram plans to offer it in other languages in the future, too. Video calls combined with anti-bullying features, Instagram could become a safer and fun place for teens to hang out, which is just what Facebook wants to defeat Snapchat.